Thank goodness for No Kill shelters and the lost or abandoned pets lucky enough to end up in one. However, so many lost, abandoned, or surrendered dogs, cats, and other pets don't end up in shelters that are No Kill. They don't end up in the places that will keep them until a home can be found no matter how long it takes. These unlucky pets are in a place where the clock never stops ticking. They are running out of time. On REMEMBER ME THURSDAY we remember and honor the pets that have run out of time and lost their lives in animal shelters that live by the clock. People ask Why? Why can't we save them all? It's a question with no clear answer. My question isn't just Why can't we save them all, but Why do so many pets end up without homes in the first place? and What is the root cause of this problem? Those are my questions. There is no one answer, there are a variety of reasons pets end up homeless. Some reasons are valid, many are senseless. I rescued my beautiful girl Phoebe from a county shelter in Arizona. She had an extreme fear of men, but with patience, love, and a little time she blossomed into the most loving, friendly dog! She is such a joy, I'm so glad she joined our family. The reality is that homeless animals are suffering in shelters through no fault of their own. The reality is that every day, many of these homeless dogs, cats, and other homeless pets die in shelters because they have run out of time. Today, on REMEMBER ME THURSDAY, we remember those animals and try to raise awareness of their plight. The #RememberTheRescue Challenge is a social media photo contest where rescue pet parents tweet and post pics of their beloved adopted pets. Participants then nominate their favorite pet adoption organization or facility to WIN one of three awesome prize packages of Cash, Food and Toys! Upload a photo of your awesome rescue pet to shine a light on adoptable pets everywhere. Your entry could WIN your favorite pet rescue organization life-saving funds and food (and toys too)! You can enter the contest by clicking on the #RememberTheRescue Challenge link above to upload a photo or video and fill out the entry form. You can also enter by posting a photo on Twitter or Instagram and use the hashtags #RememberTheRescue AND #RememberMeThursday. You must also visit the RememberMeThursday.org/contest web page to complete your Twitter and Instagram entries by providing your submission information. You have until September 30th the enter the contest! Do you, or someone you know, have room in your heart and your home for any of these dogs, who have still not found forever homes? Gracie has been waiting a long time for a home. You can find her at the Bideawee animal shelter in New York. 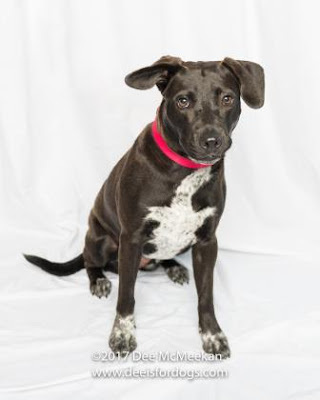 Learn more about this sweet, shy girl HERE. 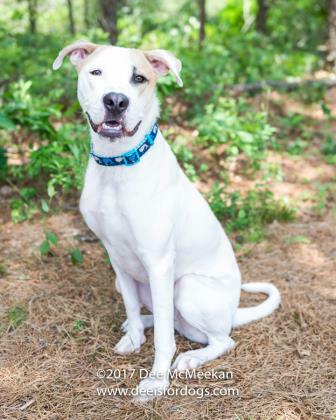 Handsome Pace has been waiting for a home since early 2016. This goofy, energetic guy was transported from Alabama, but is currently in the Bideawee shelter in New York. Learn more about Pace HERE. These two photos are of ICE, who has been waiting since early 2015 for a home! 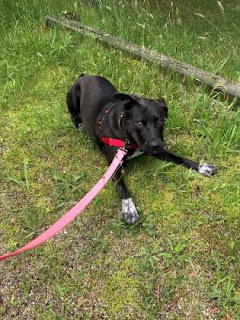 She's a beautiful Hound mix who lived her life outdoors, chained to a tree day and night. Her owner surrendered her when the weather became too cold for Ice to reasonably remain outdoors. Ice knows basic the commands Sit, Down, Stay, and Drop It. 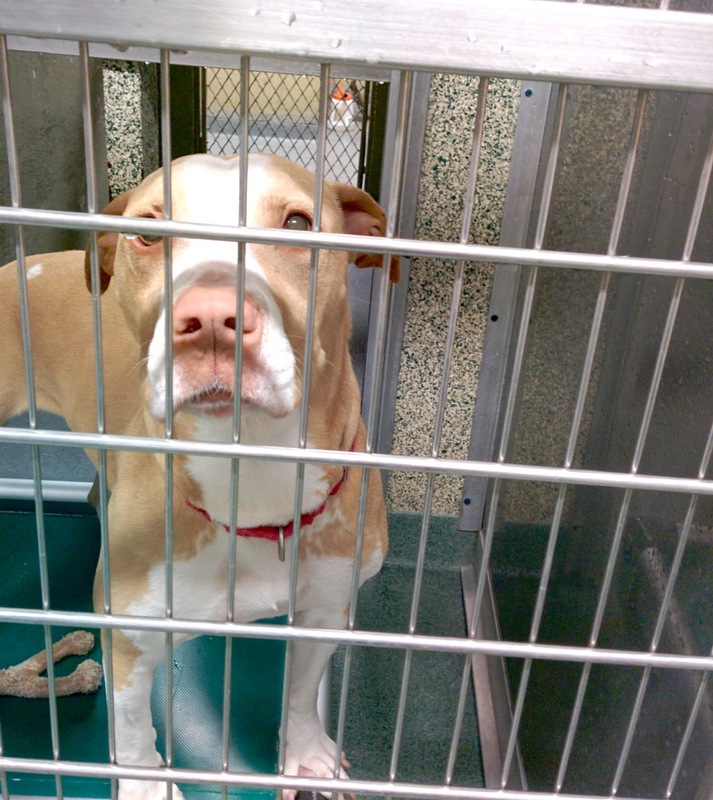 Living in a cage for over 2 years is no way for a dog to live, she desperately needs a home! 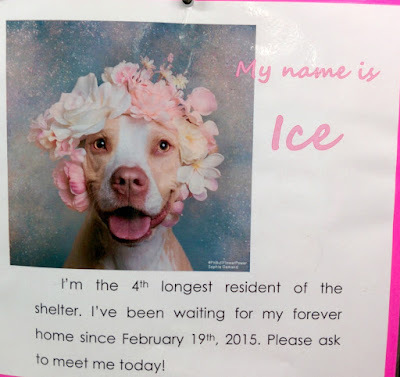 You'll find ICE waiting for a loving home at the Town Of Hempstead Animal Shelter in New York. Sadly, this beautiful girl is the 4th longest resident at the shelter. Please share to help these dogs find homes. They deserve to be loved and have been waiting far too long for loving homes. Thank you so much for participating in this important day! Our paws are crossed that all of our voices together will make a difference in animal's lives. Oh, look how cute Ice is! Our mom is in love with her and wishes we owned our own home! I was so happy to participate in Remember Me Thursday, it's so important that we all recognize that not every shelter pet gets a happy ending. I'm crazy about ICE and wish we could adopt another dog but it's not in the cards right now. The best I can do is share her story & keep sharing it. It is really important, we must not forget about these beautiful souls waiting in shelters for a home that never comes. Thanks Mishu, I hope you'll share this post to help these beauties get some visibility. I am so incredibly happy to have both my rescue dogs, and can't imagine my life without them. I admire how you note we need to address the root cause, and I couldn't agree with you more. I'll definitely share to help these pups find their forever homes. Thanks so much for sharing to help get these shelter dogs some exposure! They need loving homes badly. I can't imagine my life without my wonderful dogs either, they bring me such joy. Until we address the root cause of this problem, there will always be shelter pets waiting for a home they never get. I will spread the word! If I had the room, I'd take Ice in a heartbeat, but I will certainly make sure her sweet face is shown far and wide. Thank you Lori! I greatly appreciate your support & help. I'd take Ice as well if I could. Poor girl has been living in a cage for 2 years!! That is so wrong. Thank you for participating!! I absolutely loved that they had this day dedicated to dogs waiting for their home, or forgotten. <3 - Shelby G.
I'm happy to participate in this important initiative, it's a message that needs to be shared. I think it's a great way to raise awareness and remember the beautiful souls that did not ever find a home or someone to love them. Thank you! It was a good opportunity to help raise awareness and ask people to share the stories of these 3 shelter dogs. They have been waiting far too long for a home. Thanks for shedding light on this day. So many millions of dogs and cats are euthanized because they do end up in kill shelters. My girls are not longer with me however I will share on social to help get the word out. It's true, and such a sad fact. We must get to the bottom of this epidemic of overflowing shelters and pets desperate for loving homes. Thanks so much for sharing to help these sweet dogs. Oh my gosh, my heart just breaks for all of these dogs! I wish I could take them all. I can't imagine why they aren't getting adopted, but what a blessing that they are safe and cared for while they wait. Will absolutely share this!! Mine breaks for them too, especially those in shelters long term - two years is a ridiculously long time to wait for someone to love you and give you a home. I am so happy that you joined Remember Me Thursday! I've decided that our next dog will be a rescue too. I'm happy I joined in too! I thank you for your reminder post the week before, that helped me remember Remember Me Thursday and make sure I had something prepared! They've all been waiting for quite a while. I hope they find homes soon! I've been looking into short-term foster programs (to give the dogs a break from the shelter) but haven't found any here yet. They've been waiting FAR too long! In Phoenix we had a day foster program that really helped. It's so important, getting out of the shelter even for a day can help them feel like a pet again and feel loved again (if they ever even were loved). If you can't find one, why not START one in partnership with a local shelter? It really is so important. Thank you so much for sharing on social, I appreciate that so much! These pets deserve to be remembered and they deserve a chance to be loved. There are too many rescue dogs that seem to get forgotten. As someone who lives in an area with so many rescues it's heartbreaking to see. Thank you for participating in this great day! You're so right Viktoria. It is a sad fact, but it happens all over the country. The massive influx of pets to shelters really has to be stopped, we've got to get to the root cause and find a way to address it. It's always so sad. There are so many great pets just waiting for their forever home, breaks my heart. Thanks for sharing their story. It breaks my heart into a million pieces, it's almost too much to take. YEAH!! Great to see you on RMT patrol! Of course we will share for these pups! Thank you so much for sharing, I really appreciate it! Shared with my Facebook friends. Not sure if anyone knows anyone in New York, but your post here also reminded me that the Southern Arizona Humane Society is taking donations for their new larger facility. Need to get over to their store this week. I'm so glad you shared, thank you! Even if any of them live in the tri-state area or have readers who live anywhere w/in driving distance it will help. I'm glad AZ Humane Society is expanding, there is SO much need out there! I volunteered at the county shelter for several years, so many pets ended up in the county shelter. We were rarely not full to capacity, and when we were it didn't last long. There are so many reasons why pets end up in a shelter, many of them have very little to do with the pet. I am grateful to everyone who helps rescue pets and hope one day there will be no such thing as euthanasia to make room for another homeless pet. Sharing these dogs and hoping they are in a new home soon! That is so true, so many times they get dumped in the shelter because of a lifestyle or other decision the owner makes. They are at the mercy of the whim of their owners. I'd like to see much more accountability from owners. Thank you for sharing the stories of these great dogs Beth! It's so frustrating to try to figure out why this is happening. Why are there so many homeless pets - why can't people have more sense? Those that care can only do so much. We only have so much money to give, and many of us already have pets that we have to consider before adopting more. I wish there were easier answers. All we can do is keep spreading the word and trying to educate others. Isn't it so frustrating!? I wrack my brain trying to list all the reasons people surrender their pets and figure out ways we can circumvent more pets ending up in shelters. The best thing we can do is educate, educate, educate! I hope no pup is left behind in shelter. Overbreeding and greed and carelessness are several causes of dumping pets in shelters. I wish people were more responsible owners so that animals wouldn't end up homeless like that! I hope so too, but it seems to be inevitable. I wish people were more responsible and compassionate too. It breaks my heart to know how many animals are still waiting for forever homes. And the ones who are in kill shelters and don't get that chance. Shared! Mine too. Thanks so much for sharing, much appreciated. I agree with your thoughts about why we should need shelters to begin with. I know we don't live in a perfect world and I'm thankful for no-kill shelters, but this makes me so sad. I'm thankful for no-kill shelters too, but my heart breaks for those that end up in shelters that are not no-kill, they are running out of time every day. Pets don't get a choice as to which shelter they end up in. Me too Robin! Especially the "hard to adopt" pets that have a much smaller chance of finding a home. You're so sweet to say such a nice thing about Phoebe, thank you! She certainly brings a lot of light to my world. I didn't know Phoebe used to be fearful. She's such a friendly, confident girl now - actually, I think she could give some lessons in confidence to Ruby! Thanks so much for sharing to help these sweet dogs who have been waiting SO long for a home! Discovering New Dog Friendly Places!